Teeing it up at 6,000 feet among the breathtaking peaks of the Swiss Alps is a privilege I won’t forget in a hurry. At this altitude, Long-Drive champions-elect salivate at the prospect of reaching for the big stick. As the bravado faded, driver tucked firmly back in the bag, I quickly began to realise the comforting truth that no-one need play their best golf to enjoy an unforgettable round in this stunning corner of Switzerland. The town of St Moritz headlines the Engadine Valley for visitors and possesses impressive sporting heritage as the host city of the 1928 and 1948 Winter Olympics. Naturally, the alpine resort proves a popular base for skiers during the winter months, but in the summer the town oversees a wonderfully varied golf offering. 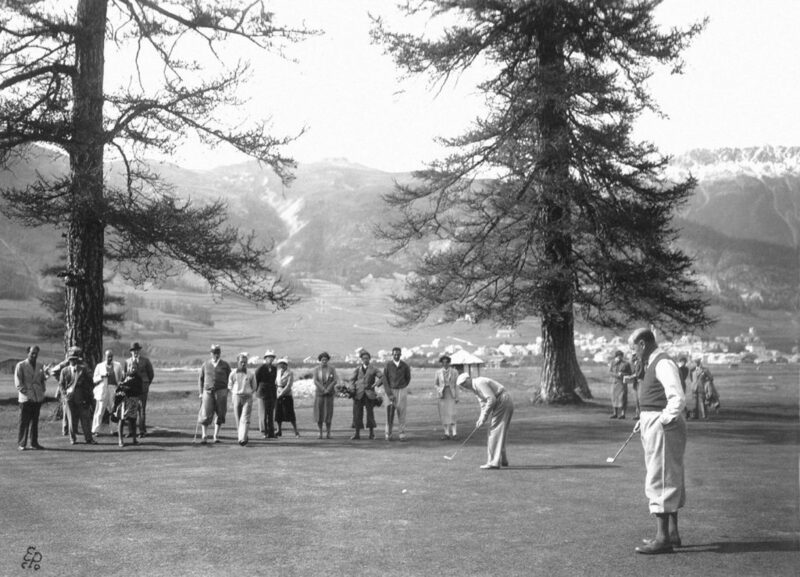 The Engadine Golf Club is this year celebrating its 125th anniversary, making it the oldest golf club in Switzerland and one of the most venerable in Continental Europe. 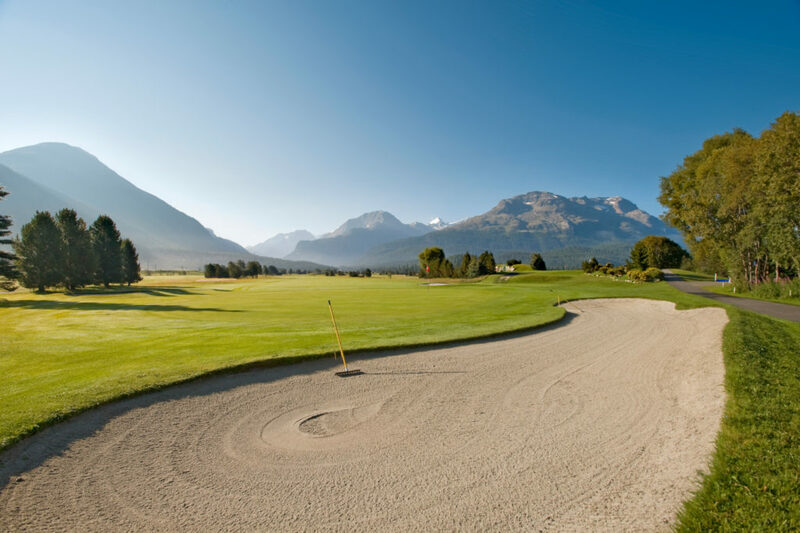 The Samedan course, built in 1893, retains a historical charm which makes it a joy to experience. 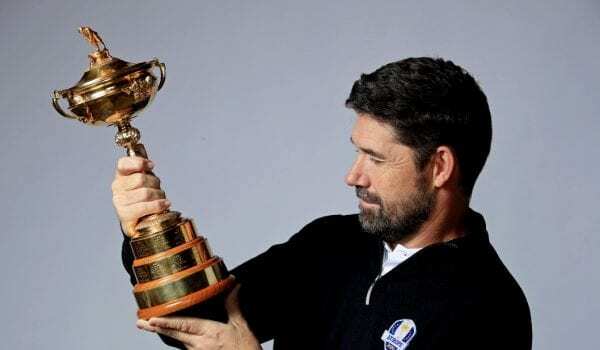 My playing partner, Engadine member and former Swiss Amateur champion Ueli Lamm, adorns the honours boards inside the chalet-style clubhouse, and watching him skilfully plot his way around the course with his set of hickory clubs was a special sight. ‘The unique scenery - the mountains, lakes and the time-honoured 700 year-old larch trees make each round a special experience', he replies. 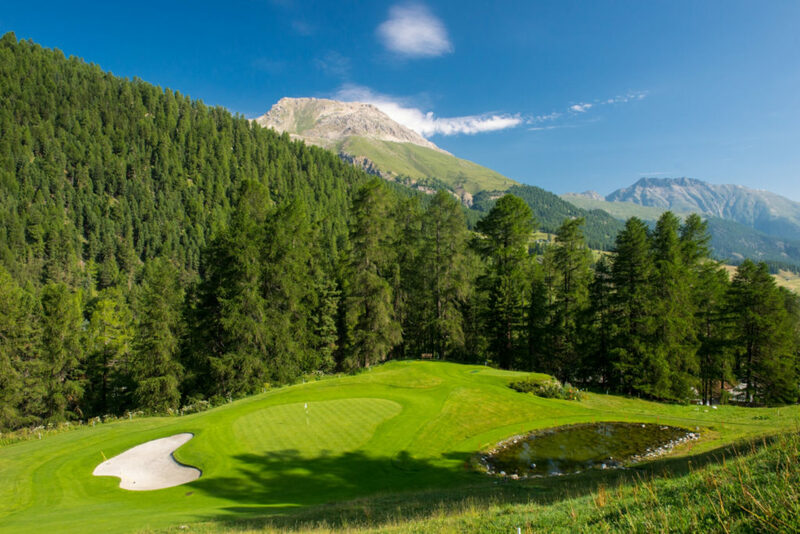 Should you opt to take on the picturesque challenge at Samedan – its wide fairways complemented by a series of streams and inlets to keep the golfer honest – I’m afraid I won’t be able to promise you a round with the affable Ueli. You will, however, walk in the footsteps of the Aga Khans, Italian nobility and Sean Connery. That’s right, even Bond himself has taken the time to soak up the atmosphere at this idyllic parkland venue. Further down the valley lies its sister course at Zuoz-Madulain, which complements the offering at Samedan beautifully. 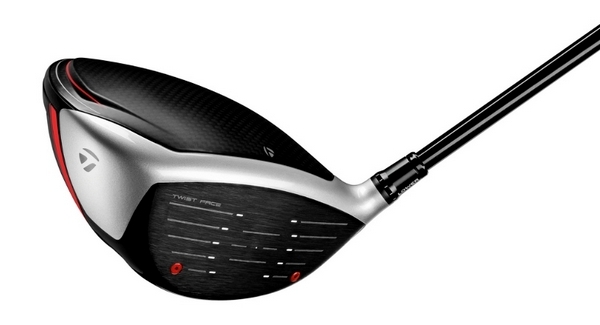 A different prospect entirely, Zuoz really stars through its sophisticated hole design, making use of varying elevation and multiple dog legs – together placing a premium on the player’s course management and distance control. As you work your way up the side of the valley, the views from the numerous elevated tee boxes are, quite literally, breathtaking. Colourful mountain blooms line the fairways, sweeping down towards a fast-flowing river at the base of the valley. It may be a bold choice to forgo the buggy whilst navigating this 6,000m championship course, as 18 holes here will certainly pad the stats on your fitness watch. Good job, therefore, that Mulligans, the charming halfway house at Zuoz, goes above and beyond to fuel your work on the back nine. Order from the 9th tee a unique tapas selection and a cold beer, and the turbulent memory of that most recent three-putt will quickly dissipate. Ultimately, Zuoz is a course you simply cannot rush – not least due to its expansive layout! But more poignantly, it is a result of the endless opportunities to pause and appreciate the stunning natural backdrop to your efforts. A golfer’s toughest quandary here will be agonising over which distant mountain peak represents the best line for their tee shot. Worse problems to have, I’m sure you’ll agree. 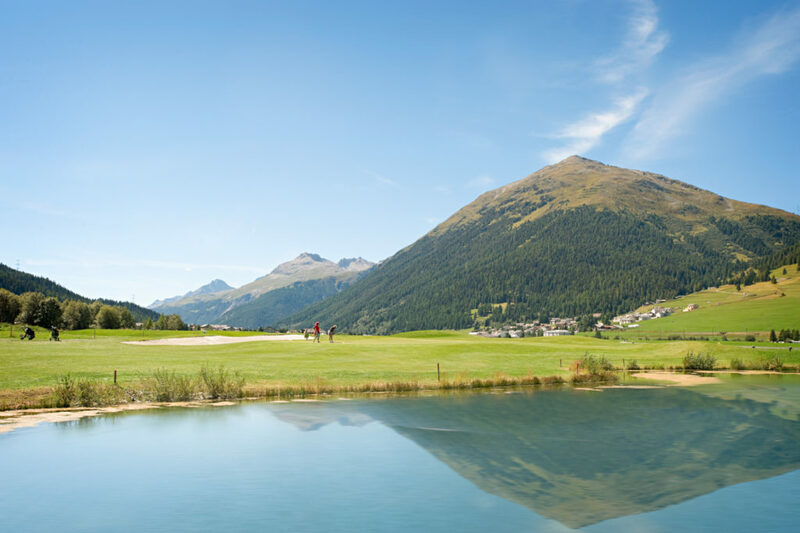 Yet more variety is on offer for the keen golfer in St Moritz, with the famous Hotel Kulm boasting a charming nine-hole course. Ideal for those looking to improve their short game, or simply to enjoy a more time-efficient round of golf, the longest hole stretches no longer than 130 yards. As you take in the bird’s-eye views of Lake St Moritz, be sure to assess the tricky elevation changes that epitomise the challenge here. 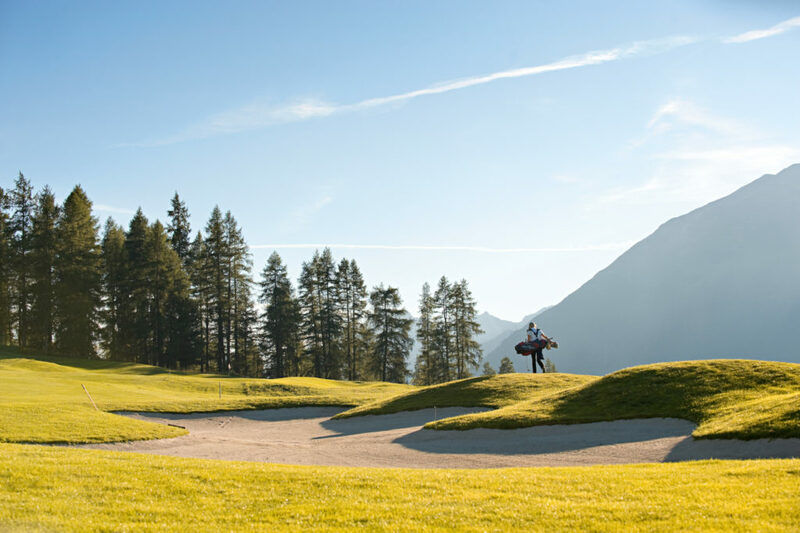 At 1,860 metres above sea level, Kulm Golf St Moritz stands as one of the highest courses in Europe and is home to a host of historical features. The Olympic Bob Run weaves through parts of the course and golfers pass the former Olympic Stadium on the walk to the ninth tee. 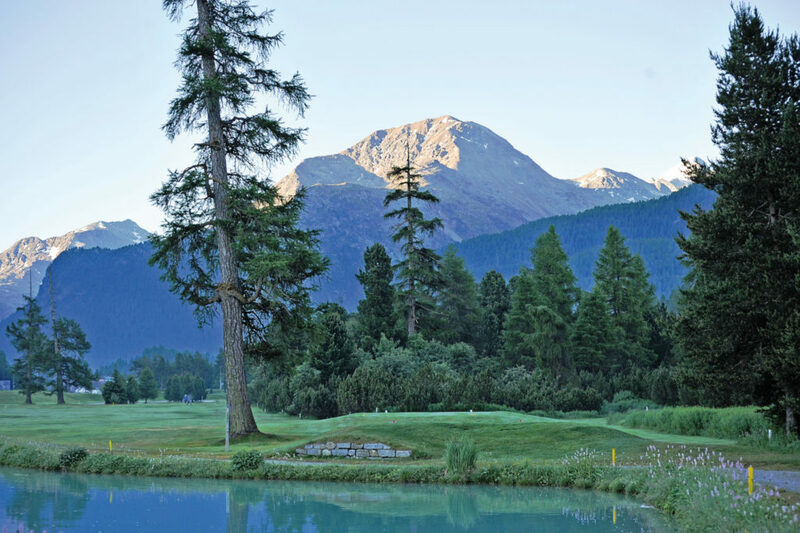 With three very different golfing tests to sink your teeth into, the courses in the Engadine prove a relishing challenge for every golfer, irrespective of ability. It is a simply stunning place to play golf. Look no further than the Grand Hotel Kronenhof for a wonderful stay to accompany your golfing endeavours. 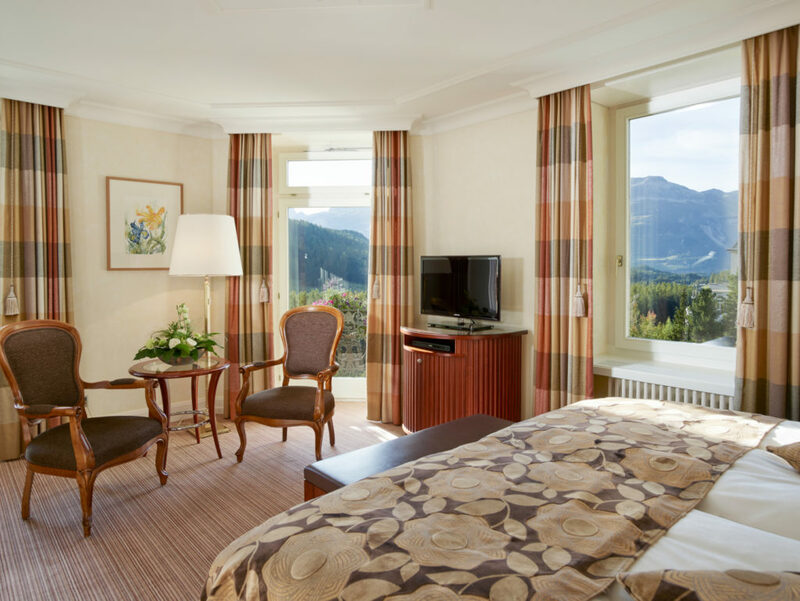 Located in the nearby town of Pontresina and featuring views across to the Roseg glacier, glorious views of the valley sit on your doorstep. The Grand Restaurant here reflects the region’s beauty, this palatial room creating a truly awe-inspiring surrounding. Visitors can relax in the Kronenhof Spa following their efforts on the course, which features a serene spa pool and a floating relaxation room. From CHF870 per person sharing a superior double room, valid until 21 October 2018. 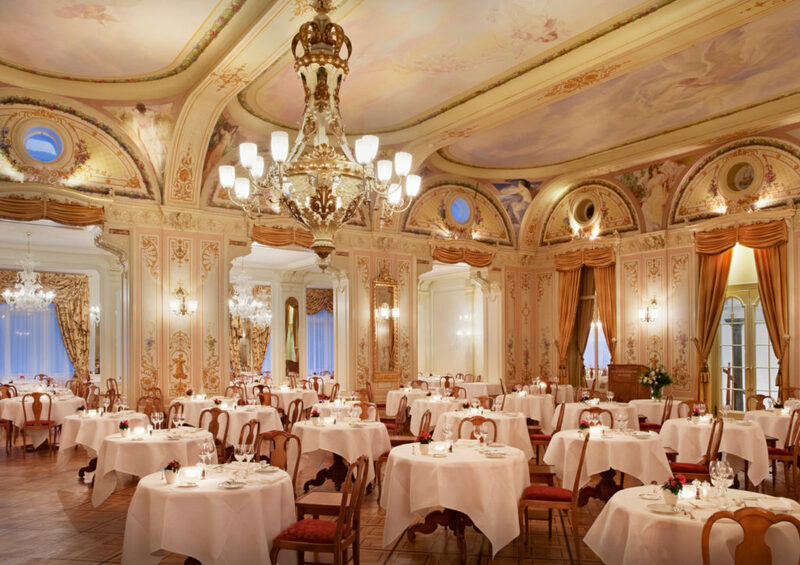 The Kulm, the oldest hotel in St Moritz, is a luxurious 5-star property with a heritage that dates back more than 160 years. Another exceptional base for golfers, its dining options range from local Engadine specialities to pizzas and international haute cuisine. 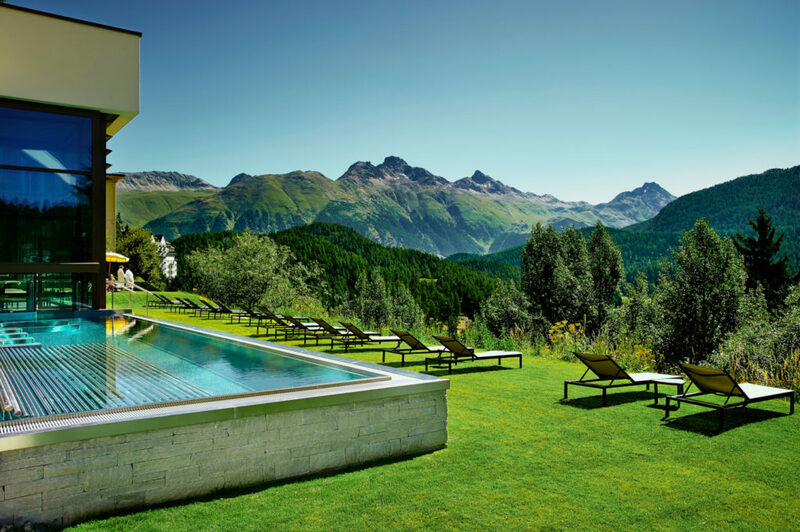 The contemporary Kulm Spa, based on the three pillars of relaxation, detoxification & regeneration, has panoramic views over Lake St. Moritz & the Engadine mountains. Vistit www.kulm.com for more information. SWISS operates up to 180 weekly flights to Switzerland from London Heathrow, London City, Manchester, Birmingham, Edinburgh (seasonal during summer) and Dublin from as little as £55 one-way (Economy Light fare only includes hand luggage). The all-inclusive fares start from £74 one-way, including all airport taxes, one piece of hold luggage and hand luggage, meals and drinks. Sport equipment and bikes can travel at attractive prices with the all-inclusive fares. The Swiss Travel System provides a dedicated range of travel passes and tickets exclusively for visitors from abroad. 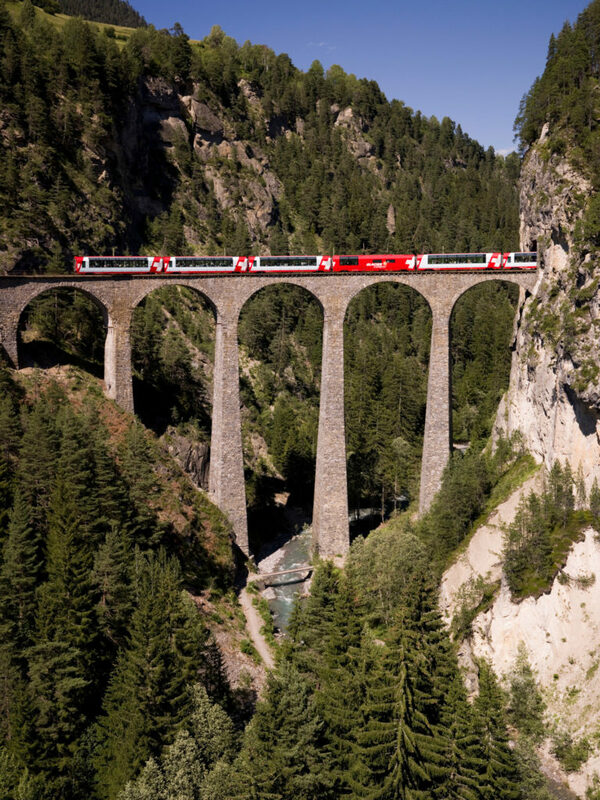 The Swiss Travel Pass offers unlimited travel on consecutive days throughout the rail, bus and boat Swiss Travel System network. This pass also covers scenic routes and local trams and buses in around 90 towns and cities. The Swiss Travel Pass also includes the Swiss Museum Pass, allowing you free entrance to 500 museums and exhibitions. Prices from £197 in second class.